In two months, CoinFestUK 2016 takes place. 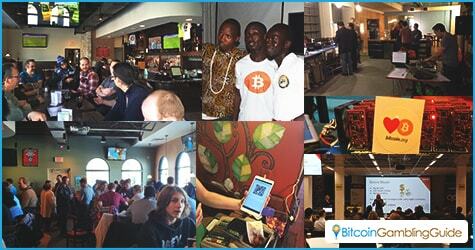 Ever since the first CoinFest in 2013, this global celebration of Bitcoin has spread the world over. Just like the decentralized Bitcoin network, there will be equivalent CoinFests all over the world, and people are expected to go where it is most convenient. What makes CoinFestUK 2016 special is the distinct honor of being the UK’s first actual CoinFest. Bitcoin enthusiasts all over the country are expected to drop by, as well as those from further abroad. The organizers, Manchester-based CryptoBatesGroup, want this to be a memorable experience and this can be seen in their efforts. 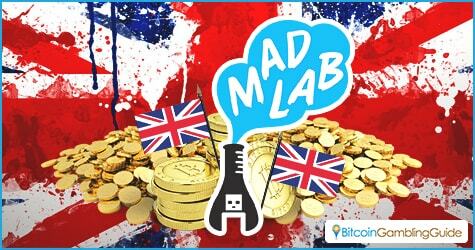 Anyone wanting to drop by will have a great time at the Manchester Digital Laboratory over the two days of the CoinFest. CryptoBatesGroup really went all out and have lined up an impressive series of events, panels, and features for the festival. These include the placement on an onsite Bitcoin ATM, a screening of the popular Bitcoin documentary, “Bitcoin: The End of Money As We Know It,” and various speakers and experts from the Bitcoin community. There will also be merchants selling goods for bitcoins, ranging from pizza to web domains. With an impressive slate of users and event participants, attendees can expect surprises and perks from the CoinFestUK sponsors. With a full slate like that, organizers will have their hands full. This is why they are asking for help from the Bitcoin public. The CoinFest UK team is looking for volunteers who are interested in cryptocurrencies and desire their continued spread. It will be a long two days, with the April 8th leg of the event lasting from 9 a.m. to 10 p.m. Helping attendants with their problems during the two days of the event. This will not be an easy job, but for dedicated people, it is a labor of love. The volunteers will not be leaving empty-handed, though. While it is reward enough to be part of cryptocurrency history, volunteers will also have the chance to help with the event’s organization, as well as getting the first chance at convention swag, being well-fed during the entire event, and playing the own developed game of GameCredits cryptocurrency team called Turbocharged. Plus, this is the best way to get a foot inside the door of the cryptocurrency community, as people will recognize volunteers and keep them in mind in the future. Interested individuals should contact the organizers to see what they can offer.